Babies love to be carried, and they thrive when they are carried close to those who love them. Loving skin to skin contact with a caregiver is actually vital for growth and has been shown to save the lives of babies born too early,  and to be an essential part of physiological regulation of bodily functions (heart and respiratory rates, temperature control). Close contact is more important to life and health than even breastfeeding, as without this interaction, children will fail to thrive. There is a wealth of evidence about the importance of close contact in fostering strong, secure and healthy attachments between child and caregiver. However, many parents in our Western culture find it hard to carry their infants much at all. There are many reasons for this; such as cultural ideas that babies need to be encouraged to become as independent as possible as soon as possible and children will be spoiled or become clingy if they are given too much attention, so parents pick their crying infants up, only to put them back down again as soon as the child is calm. Many parents believe they are not strong enough to carry their children; and this is in part due to the way we live now; a sedentary culture with poor postural habits that make load-bearing harder than it should be. This is where a good, comfortable baby carrier can be of great value. A soft carrier that holds a baby close to his parent in a way that supports him in his natural position will ensure his weight is well distributed around the wearer’s body. This can make carrying much more comfortable, allowing caregiver and child to be close together with the freedom to get on with daily life and explore the world for as long as they wish, and often helping to build strength and improving posture. All slings need to be used safely, like any other piece of baby equipment. 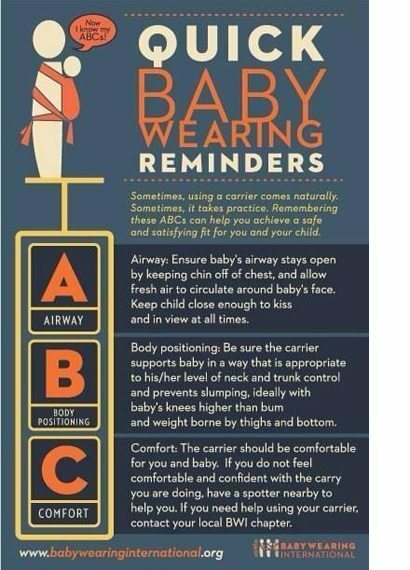 The most important thing is to ensure that baby’s airway is clear with the chin off the chest and that there is no slumping over into a ball inside a carrier. The greatest risk is for babies under four months of age, and the safest positions are upright with baby’s head and upper body supported snugly against the parent’s chest, close enough to kiss, with no fabric over the face. Children will be better supported and more comfortable if they are seated in their natural spread-squat position, as if resting in a hammock. Slings fall into several broad categories. If you have a newborn or a baby under four months, most people new to carrying will start with a stretchy wrap. This is a long piece of jersey style elastic fabric that can be wrapped around your body to create a snug pocket your baby can nestle into. One size (usually) fits all, and it can be tied on and left on all day for convenience, popping baby in and out with ease without needing to take the sling off each time. 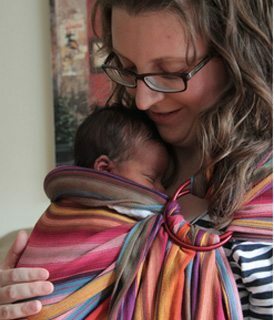 Depending on the quality of the fabric, the stretchy wrap is usually used up to four to six months, but some more supportive ones will support your child beyond a year. They are mostly used for sleepy front carrying. The Close Caboo is a slightly more structured variant of a stretchy wrap that allows fabric to be tightened through the rings to achieve a snug fit. Most people will find it supportive up to three to four months. 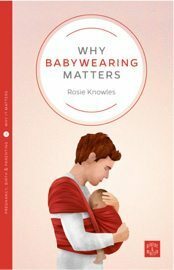 Kangaroo Care clothing can be used to carry premature or small babies skin to skin. They are very simple to use as they have a built-in structure to keep a tiny child close and safe and can be cooler options on warm hospital wards. Woven wraps offer great variability, longevity and comfort in a single sling. They are non-stretchy lengths of fabric which are woven in a particular way to provide gentle all-around pressure, being supportive but still soft and mouldable. They can be used from birth to toddlerhood and beyond, as they allow a great degree of adjustability and weight distribution around the body. Most woven wraps are made of cotton, some may contain other fibres like linen or hemp for extra support or greater breathability, and come in many, many different colours and designs. They feel very different from the fabrics you might find in a haberdashery shop. Wrapping can take a little practice to master, and long wraps can be a little fiddly to put on in wet or windy weather, however many people love the comfort and flexibility and find the process of learning enormously enjoyable. 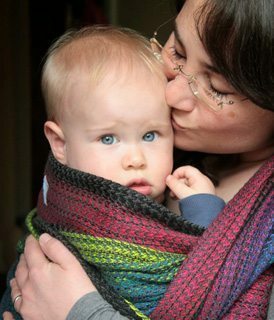 Ring slings are worn on one shoulder with the child sitting in a pouch on the opposite side of the parent’s body, with the loose end of the fabric threaded through two strong rings. The tension holds the fabric firmly and the weight is distributed across the shoulder and back. They are lightweight and (once the knack is gained) quick to use. 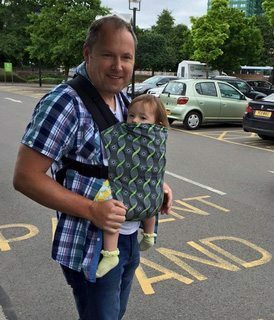 They can be very useful for those who need to be able to carry their baby slightly off centre (eg another child to care for) or need something that offers the child a good viewpoint in all directions. Ring slings made of woven fabric and with unpadded rails are the most supportive, the easiest to adjust for optimum support, and they can be used from birth to toddlerhood. Pouches are another kind of fabric hip carrier which can be very simple, but need to be fitted to size. The Scootababy is a buckled version of a hip carrier. 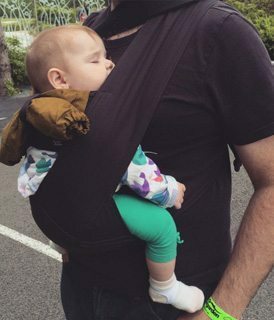 These are not hands-free slings, but can be useful for providing a little support for child to sit on parents’s body. They can be useful for bigger children who don’t wish to feel enclosed in any way. One hand must always remain on the child and they are not suitable for babies under four months. These are Asian inspired carriers made of soft fabric, and are popular with those who appreciate the mouldability and comfortable support of woven wraps but need something with more structure, or speed of use. They consist of a fabric panel that has two straps at the base that are tied (mei tai) or buckled (half buckle) securely around the waist, and two straps from the top of the panel that can be wrapped around the parent and baby to ensure a snug and comfortable fit. The child sits in the pouch created by the panel, and the long straps allow a great degree of adjustability to all shapes and sizes. Some mei tais are made of wrap fabric and have wide spreadable straps that can add an very significant extra level of comfort and support compared to narrow straps. Some can be used from birth to toddlerhood. 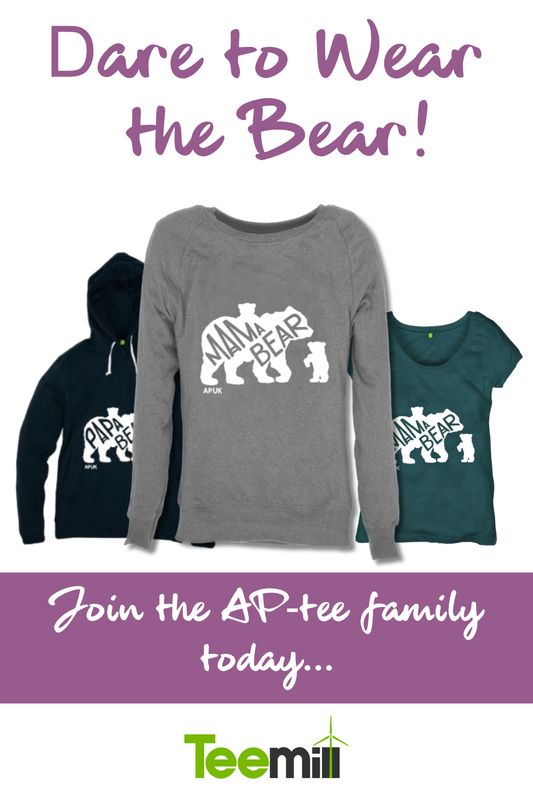 They can be worn on the front, hip and back at the appropriate ages. Onbuhimos have rings or a simple ladder-lock at the waistband for the long mei tai straps to be threaded through, and work especially well for back carries. Podaegis have two straps at the top of a long blanket. The straps are tied around parent and baby the same way as a mei tai and can be used on the front or the back. There is no waistband on either of these carriers, which can be useful if you are pregnant and carrying your toddler! For those who prefer structure and simplicity a good option is a full buckle carrier, which has a buckle on the waistband, and the shoulder straps attach into the panel at the sides. The child is seated facing the parent, inside a supportive pouch that supports them widely across the base from one knee to the other. Waistband types vary, to the minimal to the heavily padded, and people’s preferences vary enormously. 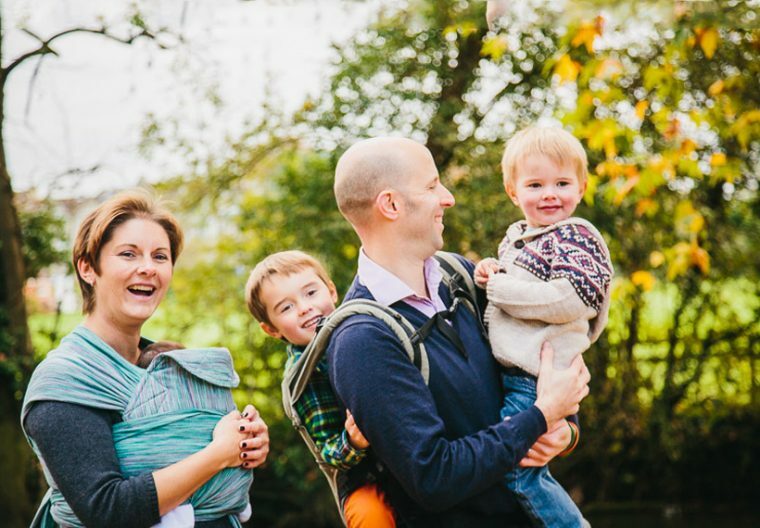 Some shoulder straps cross over on the back when baby is on the front, others are fixed into a rucksack style, and again, the shape of parent and baby together is very individual and what suits one pairing will not suit another. Buckle carriers can be very quick and simple to use without compromising too much on comfort. Often, a little practice to get the straps and positioning optimally adjusted is well worth it. Most good full buckles fit well from three months upwards; some can be adapted for younger babies by rolling the panel or by using inserts to keep baby snug, high up and visible. Most can be used on the back once babies have grown strong enough (typically able to sit unaided) and many carriers will last into early toddlerhood and beyond. These “soft-structured carriers” differ from harness-type carriers where baby is placed inside a fixed shell that is then strapped onto the parent’s body,. These are often more comfy for both parent and child as they distribute weight more evenly and keep baby in a seated position directly next to the parent’s chest. Some buckle carriers will allow baby to face out from the front carrying position. This is recommended only from four months upwards and not for sleeping, to protect the airway, and only for short periods of time. This is due to the reduced opportunity baby has to see and interact with his parent and learn about the world based on his parent’s response to it – this known as social referencing – as well as the reduced hip support from the narrower base. Some newer brands provide a “bucket” seat to mimic natural spread squat positioning. The weather conditions may change how you carry your baby; being aware of the heat and the sun, or the cold and the rain may affect your choice of sling. As your baby grows, her own needs will change. She may want to sleep less and look around more. She may prefer hip carries, or even back carries, so she can see into the world ahead. As she gets heavier, the carrier you began with may begin to feel less supportive for you and for her; for many this marks a move towards “toddler” carriers. This may be different ways of tying your woven wrap, learning how to adjust the straps on your mei tai to ensure knee to knee support, or moving up to a bigger, toddler-sized (or even preschooler!) carrier when you need to. Your “baby” sized carrier will often last a lot longer than you think! 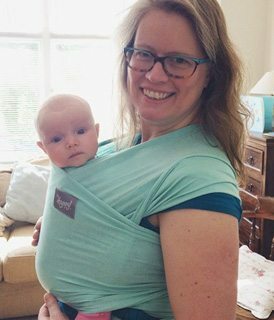 Rosie Knowles is a mum of 2, a GP, and a passionate advocate of sling and carrier use and education. She founded one of her local sling meets with some friends in 2012. It has been wonderful to watch these parents spread the word about sling use far and wide across the area. She runs the Sheffield Sling Surgery, a consultancy and sling library service, and the associated online Virtual Sling Surgery. She has been trained by several schools registered with the British Association of Babywearing Instructors (Slingababy, Je Porte Mon Bebe and Trageschule UK Foundation) and is always keen to learn more! 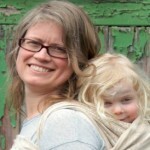 She has also done a peer supporter course with the UK School of Babywearing. She is the in-house consultant for Slumber-Roo, and has a supportive educational role with Oscha Slings. She is the resident GP for Gentle Parenting UK, and is involved in supporting the UP Project (training consultants). She trains babywearing peer supporters through the Born to Carry initiative, runs the Sling Pages website. She loves writing, and produces lots of articles about safe and comfortable sling use for several websites and publications including her interview with We Wear We Care. Dr Rosie was also a speaker at APUK Live! 2017 the inaugural Attachment Parenting UK conference.